One afternoon about 13 years ago, Constance Lightner was looking around her home in Fayetteville, North Carolina, for her 4-year-old son, Kai, who had wandered out of sight. She didn’t find it surprising when Kai turned up in the driveway. But it was odd to discover him perched atop their basketball rim, calmly nibbling his lunch. It wasn’t a phase. Kai scurried up everything he could, and two years later a friend suggested she take her son to the local climbing gym. Shane Messer, the instructor who greeted Lightner, vividly remembers the day. In March, Lightner, now 17, stood in front of another climbing wall inside Denver’s Movement Climbing and Fitness gym. He was one of 69 men competing in U.S.A. Climbing’s Sport & Speed Open National Championships, and, despite his age, he arguably was the favorite. Two years ago, when he first entered the competition as a 15-year-old, he won. And last year he finished second. Lightner’s youth isn’t an anomaly in elite climbing. After all, a favorite on the women’s side was 15-year-old Ashima Shiraishi of New York City. Lightner stands out more for his height — he’s 6-foot-3 — and for his race. He was one of just five African-Americans competing in Denver — four on the men’s side, one on the women’s — and the only one with a real chance of winning. Before the qualifying round, the competitors were allowed to study the routes they’d ascend and watched each other for technical tips (or “beta,” in the parlance of the sport). In later rounds the scouting time was reduced, which Lightner said he prefers. “Because of my height, I don’t get a lot of beta from watching what the other climbers do,” he said. “And also, I just like the challenge of figuring it out myself.” The goal is to complete or “top” the route, making contact with each of the plastic holds that mark the course and sliding one’s rope into the adjoining clips that are bolted to the wall. Men and women compete simultaneously inside the gym, albeit along different routes. The men’s routes are slightly more difficult, but there’s more parity between the sexes in climbing than in many sports. One of the climbers in Denver, 19-year-old Margo Hayes, accomplished a feat no male climber in the competition had achieved: In February, she became the first woman to complete or “send” an outdoor route, La Rambla in Spain, that is graded 5.15a in the climbing scale of difficulty, which ranges from 5.0 to 5.15c. 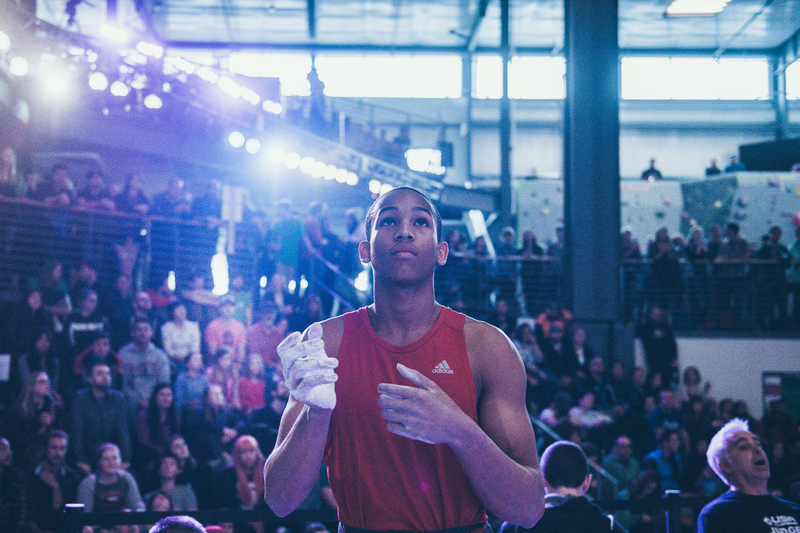 Kai Lightner ascends the climbing wall during competition. The competition’s routes ranged from 5.13.b to 5.14.a, according to Messer, who now lives in Boston but still coaches Lightner and also was competing in Denver. (At 31, Messer was one of the oldest in the field.) All of the competitors probably were skilled enough to complete the routes if they had ample time to plan their attacks and were given multiple attempts. But without those allowances, few of the men and women topped the routes, twisting paths of holds of various shapes and sizes peaking at about 55 feet. Most made it midway before fatigue or improper technique caused a slip and sent them toward the ground in a rope-controlled fall. Sport climbing can appear deceptively simple, even after watching highly trained athletes struggle. Put a hand here, a foot there, repeat. I mentioned this to one of the men’s competition judges, Linda Lee, a Boston-based recreational climber whose daughter, a student at Stanford, was competing. During a break in the action, I made my inspection. Touching the first two holds, I realized that not only would ascending the course be impossible for a novice, I couldn’t even support myself on the lowest and easiest portion of the wall. A few climbers, particularly Hayes and Shiraishi, made their climbs look easy — none more so than Lightner. Like the other climbers, when he found a resting point, he’d shake out an arm to relieve the lactic acid buildup in his muscles and dip his hands into his chalk pouch. But his entire body seemed at ease, and each contortion Lightner made to advance up the wall appeared, paradoxically, both precise and whimsical. Watching Lightner climb, I felt the same sense of awe I experience when I watch Roger Federer glide across a tennis court. One evening during the competition, I met Ahmed Toure and Julian Boyd, two of the five African-Americans in the event, at Crazy Mountain Brewing, a couple of blocks from the competition site. Toure and Bond hadn’t advanced past the qualifying round. They were exceptional climbers, with many years of national and international competitions between them, but they also said they were in Denver to have fun with their climbing friends. That weekend, I had seen a lot of the competitors spend free time with their noses buried in schoolbooks, and aside from their single-digit body fat percentage, most wouldn’t have stood out at a debate tournament. I expressed my doubts that there was a lot of late-night revelry. 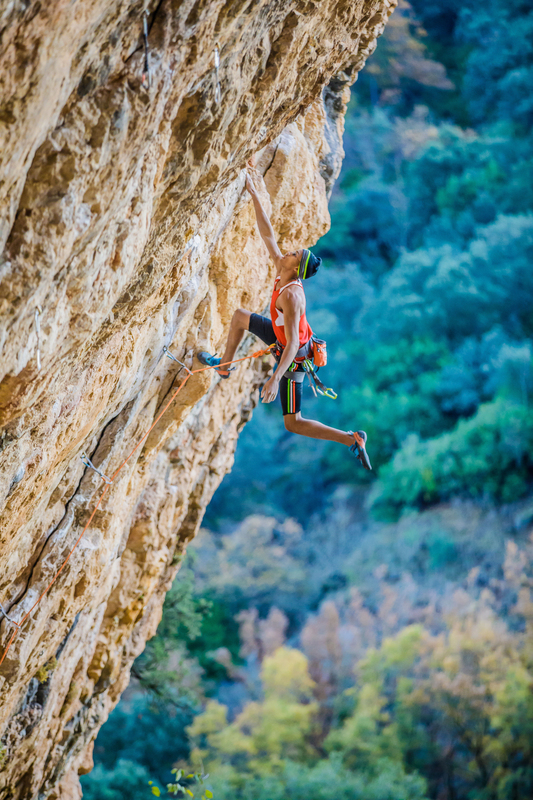 While one can play basketball, soccer or other school sports without spending a lot of money, climbing is expensive, requiring climbing shoes and other specialized gear, as well as a gym membership. “Plus, if you’re good at other sports, like basketball, you may get a scholarship for college — but not with climbing,” Boyd said. The Texas natives had discovered the sport almost by accident. “I had just gotten my driver’s license,” Boyd said. 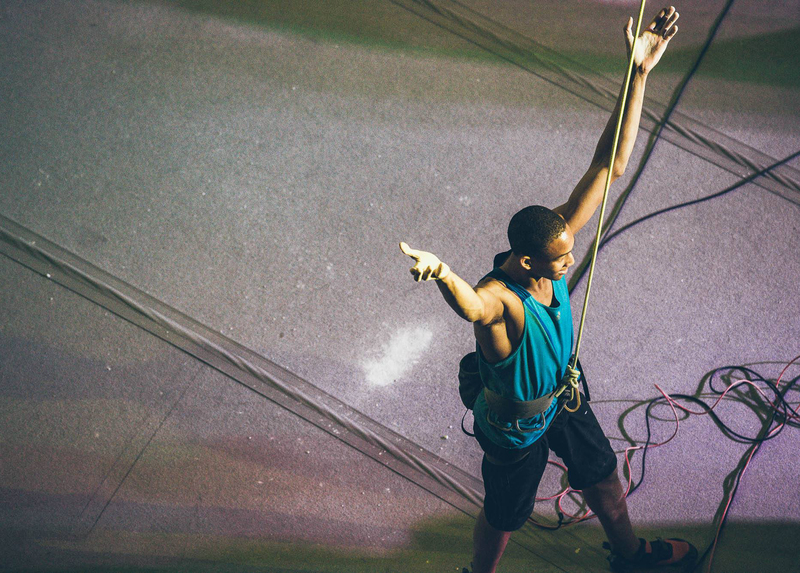 “It was summer and my friends and I were bored, so we decided to check out a climbing gym across town for fun.” Boyd was hooked. The 1960s saw the rise of the environmental movement and a surge of interest in outdoor adventure; backpacking, whitewater rafting and climbing took off. But for many African-American families, the idea of driving hours into the backcountry would have seemed to be willfully entering a world resembling a frightening mashup of Deliverance and Get Out. Kai Lightner, 17, climbs the Santa Linya Cave in 2016 while on a trip to Spain. More recently, a National Park Service study found that only 7 percent of visitors to the national parks in 2008-09 were African-American. 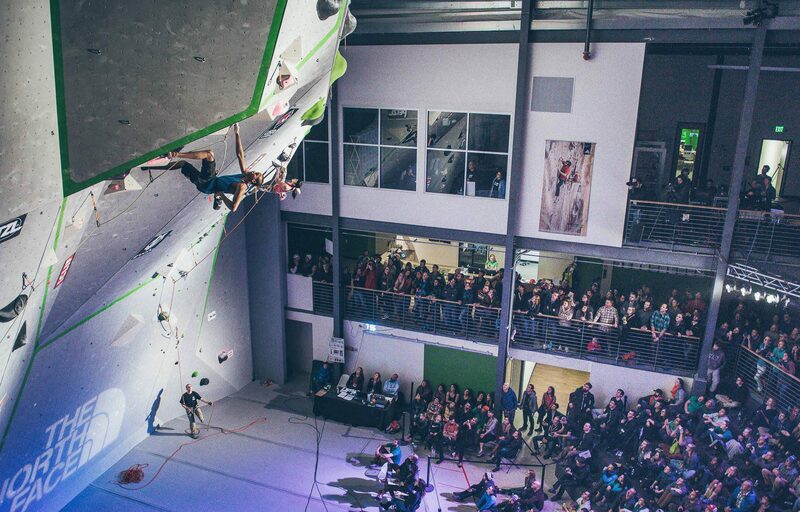 By then, though, climbing had come to the cities in the form of indoor gyms. That opened up the sport to a broader demographic. Lightner was fortunate that there was a climbing gym in Fayetteville. But as he quickly improved — he won his first national youth championship in 2010, when he was 10 years old — he outgrew the routes the gym offered. So his mother, a professor at Fayetteville State University’s School of Business and Economics, began taking him to a bigger facility 70 miles away in Raleigh and occasionally to Atlanta, nearly 400 miles from home. “I’m pretty much the only top-level climber based in North Carolina,” Lightner said. 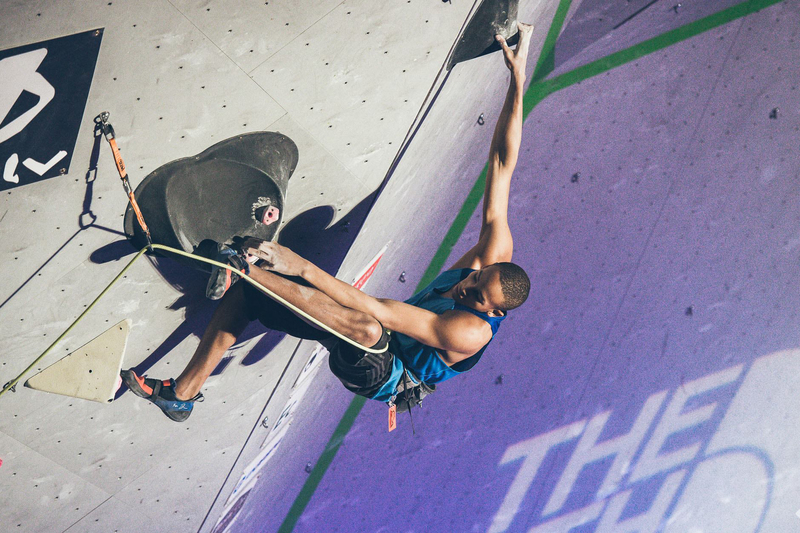 For the semifinal in Denver, the men’s field had been winnowed to 36 climbers. The wall had been reset with a more difficult route, which featured an early dynamic move, or “dyno,” requiring climbers to leap to a hold. But Messer said Lightner’s height also hurts him. Lightner was next to last in the running order. 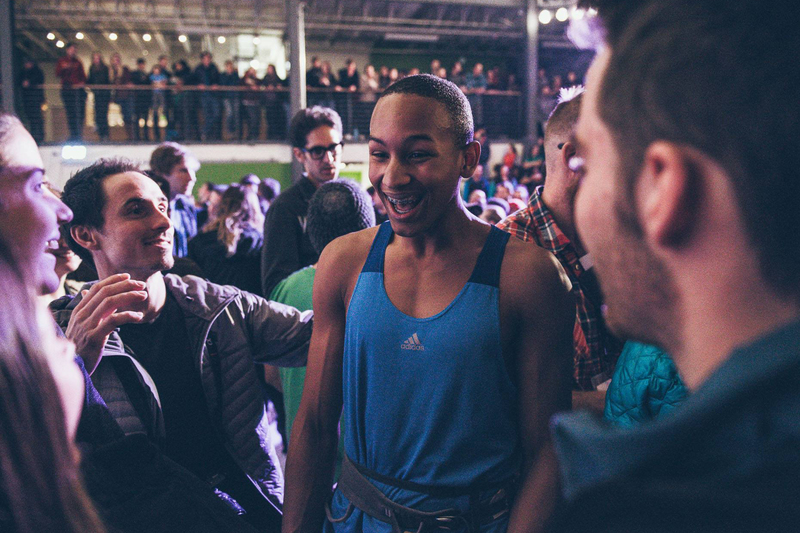 In the semifinals and final, the competitors were barred from watching each other climb — “denied beta” — but Lightner could tell from the audience’s collective sighs that no one had yet topped the route. He navigated his way deliberately, reaching the final 10-foot stretch of the route. But his left hand’s grip on a small hold was tenuous, and when Lightner searched for another hold with his right hand, he slipped. Still, no one had climbed any higher, and he advanced to the finals tied for first place with Jesse Grupper, the previous year’s seventh-place finisher, and Noah Ridge, who didn’t compete last year. After a break to reconfigure the routes, the finalists, 11 men and 11 women, were announced and lined up to face the audience. They were given five minutes to preview the routes, which consisted of backing into the audience for a better view and twisting their arms and clasping at air in a climber’s version of shadowboxing. Finally, they were ushered to another room, out of sight, and called one man and woman at a time to attempt their respective routes. Kai Lightner works his way along his route up the climbing wall. As Lightner approached the route, he turned to the audience and gestured for applause. He started his ascent, much of it a sequence that saw him placing his heels on tiny holds at head level and pulling himself up after securing another purchase with a hand. The final few holds consisted of slopers (big, smooth curves that offer little grip) that had bedeviled earlier climbers but posed no trouble for Lightner, who topped and then banged his palm into the wall in celebration. For winning, Lightner received a check for $3,000. It covered his expenses — flights for himself and his mother, as well as an Airbnb rental — but even the best climbers can’t make a living from prize money alone. Most depend on sponsorships, and Lightner has several, including Adidas. For many, including Lightner, speed training can be boring. “It’s all about muscle memory, doing the same movements over and over again,” he said. 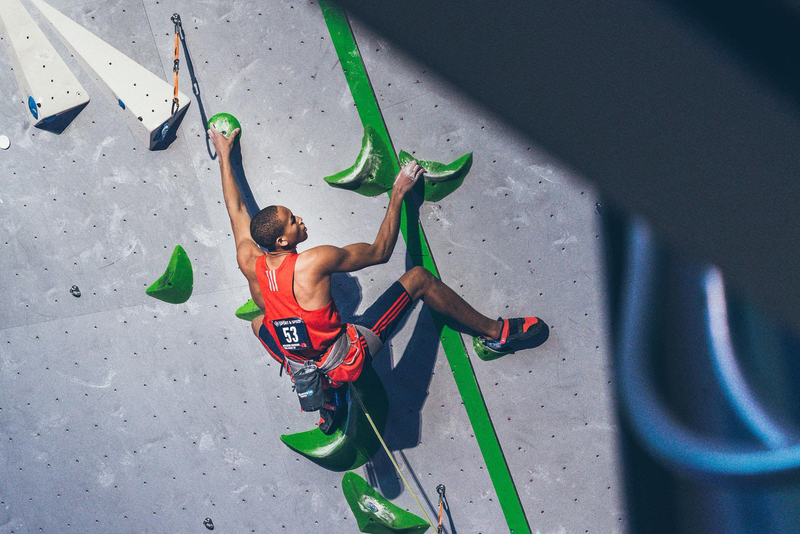 Many climbers have grumbled about the Olympic format — climbers, like track and field athletes, often specialize — but given his excellence in two of the disciplines, Lightner likely will only have to become a proficient speed climber to have a good shot of representing the United States in Tokyo. If he makes it, he’ll face much stiffer competition than he faced in Denver, although few would be surprised if he fared well. Kai Lightner raises his arms in victory after finishing his climb. “That looked like it was so easy for you,” I told Lightner a couple of minutes after he had topped the final route. “I wouldn’t say that,” he said, smiling. But as he turned away to receive congratulations from other climbers and fans, my eyes followed him, searching in vain for a trace of sweat.